Welcoming the Government’s consultation on the latest EU Type Approval proposals covering rules for the construction and maintenance of motorcycles, the British Motorcyclists Federation say that this is a golden opportunity for motorcyclists to make their case. Concentrating strictly on the terms of the UK consultation (EU Proposed Regulation for the Type Approval and Market Surveillance of 2 and 3 Wheeled Vehicles and Quadricycles) and not what might be under discussion or proposed in other EU countries (such as city bans on bikes over 7 years old and compulsory wearing of day-glo jackets, neither of which is being considered for the UK), the BMF say that we need to fight our own corner on our own ground. “With twenty six other countries in the EU, we have to supply the British Government with a clear mandate; simply objecting on principle is not an option. Objections have to be substantiated if we are to stand a chance of getting what we want,” says the BMF’s Government Relations Executive, Chris Hodder. Thanks to strong lobbying and well-considered objections over several years, the EU proposal to replace the current raft of Directives with a single Regulation has much to support it in both the regulations and in the UK Government’s positions on the plans. These cover stronger compliance checks on the quality of replacement parts, thus removing poor quality items from the market; fuel consumption information (similar to that for cars) allowing better consumer choice and making repair and maintenance information more widely available for the smaller bike shops and home mechanics, so reducing servicing costs. Support for these elements is critical say the BMF as other countries may seek to remove them. While concerned that the casualty reduction benefits and low costs of anti-lock brakes are often overstated, the BMF acknowledges that many riders are choosing bikes with ABS, but the BMF is concerned over the disproportionately high costs on smaller machines and still says that riders should have a choice. On emissions, the BMF opposes the Government’s reluctance to support stronger emission regulations. 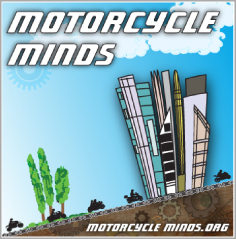 While manufacturers have lobbied that it is difficult to bring motorcycles up to the standard of cars, the long-term consequences of motorcycles being less environmentally friendly than cars will be very damaging for motorcycling say the BMF. 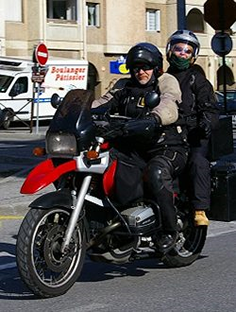 Many cities across Europe already have low emission schemes that bar access to older and more polluting vehicles (including London), so to find motorcycles banned too would be bizarre. The BMF is also pleased that the Government is strongly opposed to any anti-tampering regulations, but for many European countries lacking the British tradition of home tuning and modification, this is difficult to understand. The BMF is therefore calling on motorcyclists to write to the DfT and make their views known, particularly the case for retaining the right to modify and personalise their own motorcycle. Arguments from the public and businesses say the BMF, will help convince the other negotiating parties that anti-tampering is a bad idea and will destroy motorcycling’s culture. Motorcyclists should write in with their comments by 28th October using the response form in the consultation document.